According to The charity ‘Action On Hearing Loss’, a one in seven UK resident suffers from some kind of hearing loss. There are many reasons for loss of hearing, some are directly linked with medial conditions such as infections, some are due to our lifestyle choices such as loud music and some are age related known as presbycusis. Progressive deterioration of hearing ability (presbycusis) happens as the body ages and is by far the most common type of hearing loss. It is a natural demise in hearing ability which coincides with deterioration of other senses. Our inner ear contains tiny structures that when viewed closely under the microscope resembles tiny hair cells. These structures collect waves and vibration in the air and are susceptible to damage from noise but also from the challenges of growing older due to natural changes in the body. The inner ear is unable to regrow these hair cells, so the resulting lack of hearing is permanent. Currently the healthcare system is able to provide means to manage the condition but a ‘cure’ in the traditional respect is many years away. Means to manage the condition are available from the private sector as well as from the NHS at no cost. Individuals who choose to accept hearing loss as a given sensory impairment that comes with getting older are willingly accepting reduced quality of life. Unmanaged hearing loss may lead to social exclusion and other well-documented behavioral changes, all avoided by diagnosing the condition, explaining its causes and offering suitable means to manage it. What Is the First Step To Take To Determine Hearing Loss? If you suspect you, or someone you care for, might be suffering from a hearing loss, you should seek a medical diagnosis. Your first point of call is to visit your GP where a basic hearing test will be performed or you may be referred to a specialist called an audiologist in your local NHS audiology department. You may also visit a local high street hearing centre in which hearing tests are often free. 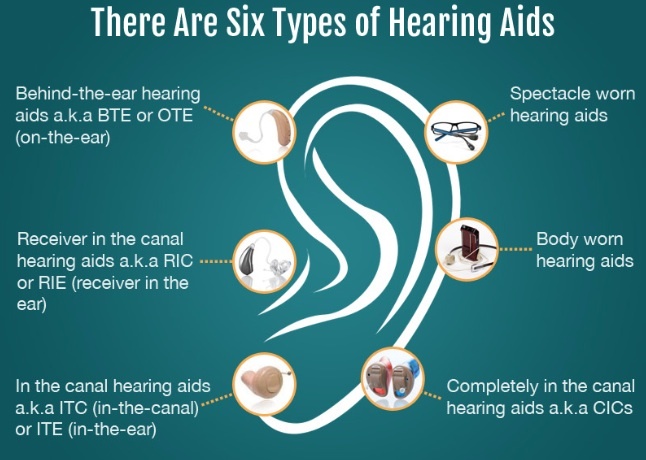 At the end of the test, you will be presented with a number of options to overcome any diagnosed hearing loss; often involving the use of a hearing aid. For most people with mild to moderate hearing loss, a device called a digital hearing aid is likely to be recommended. Hearing aids vary in discreetness, size, look and the amount of amplification they produce. They are in fact a type of wearable micro-computer powered by its own source in the shape of hearing aid battery and are either programmable or pre-programmable to suppress background noise and are very lightweight. Hearing aids are provided at no cost from the NHS (limited models and waiting list may apply) or from private providers. In The Canal Hearing Aid (ITC) – Similar to completely in the ear hearing aid, it is a type of small hearing aid, but not the smallest. This means that some of the aid will be visible outside of the wearer’s ear. ITC are intended for mild to moderately-severe hearing losses. In the Ear Hearing Aid (ITE)- A type of digital hearing aid which is slightly on the large side. It fits completely into the wearer’s ear and due to its size, might have better amplification characteristics. Some types of ITE devices may include the ability to work with phone amplifiers. Unlike CIC and ITC devices, this type is often visible when standing face to face with someone. Behind The Ear Hearing Aid (BTE) – A type of digital hearing aid which is extremely popular among many of the older hard of hearing generation due to its comfort characteristics. 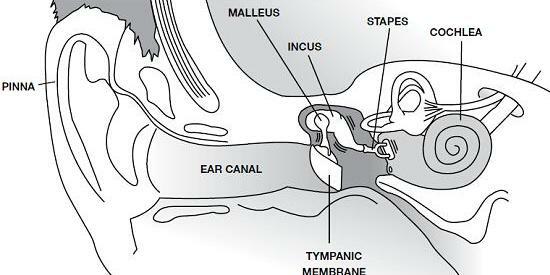 One part if the aid resides behind the ear, while the second fits comfortably into the ear through a tube. The components of the aid such as case, tube and earmold are also available in a choice of colors making it a trendy and comfortable aid. Other types of hearing aids which you may come across are hard of hearing phones, amplified alerting devices and specific hearing solutions for example TV hearing aids. By far the most common and practical are digital hearing aids. Information written by Joan McKechnie BSc Hons Audiology & Speech Pathology. Joan works for UK based Hearing Direct. Yes it’s true. Now a days people are affected hearing loss by infection or hearing the music with high volume. These are the most two reasons for hearing loss. This has really useful information about causes and its treatment. Thank you. With hearing aids the logic is “the bigger the better.” Meaning, the more large they are, the more powerful and the more functionalities they have. Smaller hearing aids, like RICs and ITEs can actually be used by people with moderate hearing loss, but those with severe or profound hearing loss usually benefit most from a BTE.